the adventures of tartanscot™: "April Food Day 2010 . . . "
Tassel fringe. Chartreuse linen velvet. Imported silk. Custom hand-painted wallpaper. Breakfast. Italian marble. Antique carpets. Plantation shutters. Clearly, even in the world of interior design - one of these is much more important than all the rest. 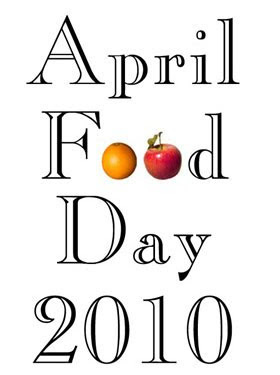 Please take a moment out of your busy day - and contribute to April Food Day 2010. The funds raised go to support Feeding America. Feeding America provides food to 37 million Americans in all 50 states, including 14 million children. This is an increase of 46 percent over 2006, when they were feeding 25 million Americans, including 9 million children, each year. And here is a link for more information.